Tarett Engineering is proud to announce our new GT series swaybars! Made to the exact same specs as the Porsche OEM GT3 bars, for the same perfect fit and performance, but at a more affordable price. CNC machine bent from aerospace quality 4130 chrome moly material for reliability you can depend on, and finished in black powder coating. Pair them with our drop links to provide you with a winning combination! 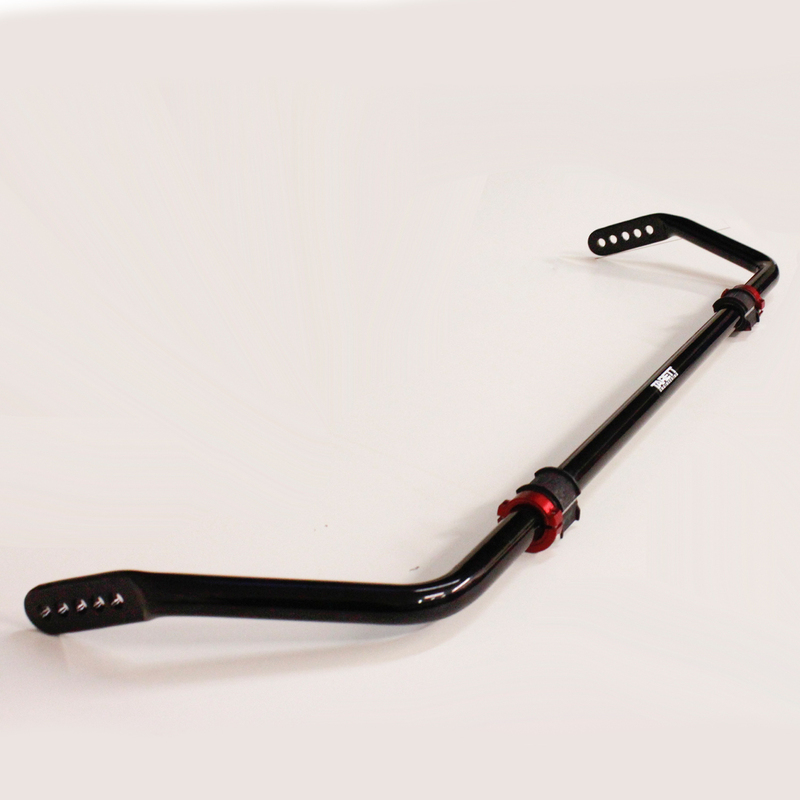 The GT-Series bars are SPC, SPB, & SP996 spec legal. The light weight hollow design is half the weight of a solid bar with the same stiffness. Multiple attachment hole positions allow for quick and easy swaybar stiffness rate adjustments, to fine-tune your car’s handling for various track conditions and driving styles. All components are designed and manufactured to the highest quality standards, and make this the finest and most reliable swaybar on the market. Complete with bushings. Drop link kits sold separately. C4/Turbo cars regarding drop links: Due to front axle restrictions, the drop links may not reach all the stiffest settings on an adjustable front swaybar.